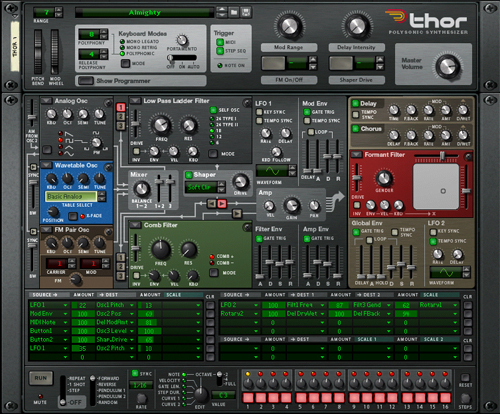 Propellerheads Reason was launched in 2000 off the back of the ReBirth studio. Reason gained a strong following and has built on that over the years. While some rant about lack of VST integration, many die-hard users (like myself) have been happier not to have the clutter that VST brings. In a closed environment, Reason’s stock synths had to be good as they were it. Let’s take a quick look at each of them from a perspective of 14 years. The Reason synths cover some of the same ground but each has its place and can do some very nice things. 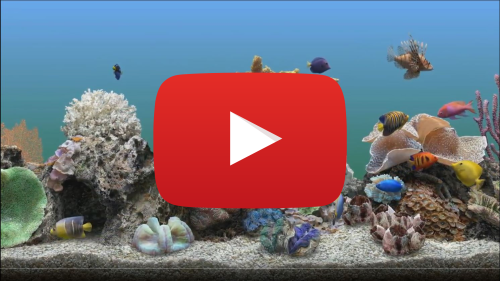 UPDATE November 2017 – we have several huge Reason updates under our belts now so I thought it time to update this article with new devices. Old sections are left alone for posterity (and the fact the synths are still very useful) but new units (and some I neglected last time) are inserted. Subtractor is where we all came in and is easily overlooked now as people assume it is a relic from the past when soft synths weren’t as good (by dint of being old – yet not analog – huh!). But that is a mistake as it is a powerful workhorse with a supremely useful filter; the fact it maintains full force even under strong resonance makes it unique in the rack and of course a go-to for acid games. While the architecture is fixed Sub has enough tricks up its sleeve like the Phase offset system, Ring Modulation, FM and an adaptable Noise Source to be able to do a lot of clever things. And of course there are also all the extra Waveforms (32 in total) on offer too. Inside of a Combinator Sub is wonder for making layers to form a greater ROMpler style of synthesis (minus the samples of course). Great for: as well as being a cool 90’s style VA (Virtual Analog) capable of harder edged VA sounds, Sub is a great place to start for 80’s style Jupiter/Juno DCO/Analog sounds like brasses, basses and pads. The almighty Thor was a later addition but as a pure synth it is one of the finest, and most powerful synths in any format hard or soft. The word Polysonic seems like marketing hype but in fact is apt as Thor can be turned emulate to just about any style of synthesis (bar Physical Modelling but who cares as so far that has been a bit of a bust anyway). Thor can overwhelm beginners which is a shame but that is really due to user fear as the semi-modular nature of Thor is about the most logical set-up of any of the similar “beast” synths (Zebra, z3ta, Ultra Analog, Predator…). Thor is based on modules that can be swapped and a semi-fixed routing (that can be bypassed) with a superb Modulation Matrix that allows almost anything to modulate (and be scaled by) anything else. This is really where the power of Thor lies. Get your head around the routing (which is really just like making ditches for water to flow along) and suddenly you have not only an amazingly complex (in a good way) instrument but a set of CV (Control Voltage) generators and processors to make a Eurorack owner jealous. The three OSC slots offer Analog OSC, Yamaha DX FM, Casio CZ PD, PPG Wavetable, a Unison Multi, and a versatile Noise source. 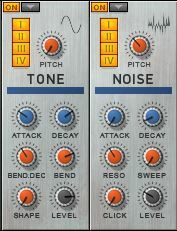 The three Filter slots offer Moog Ladder, SEM Multi-Mode, Comb, and Formant options. Because of the thought put into the options plus the ability to chain and control the possibilities are amazing. More important though is the sound and Thor can really deliver (almost) any sound you can imagine. Great for: huge basses (PD is great here), immense strings and pads (Analog or Multi-OSC), clinical FM (you don’t need me to spell this out but don’t overlook the PD option), or cold PPG wastescapes (Wavetable and Noise). Of course, if you ever wished you had a Moog or Roland Modular like the back of a Tomita or TONTO record then Thor is your hammer. Oh and Audio can be wired right into wherever you want too so Thor is also a superb mangler. The FX are quite nice too. Europa arrived in a very synth-heavy update in Reason 10 so right now is a very new synth for us all. Background is that suddenly wavetable synths were all the rage with Serum being held up as the king of all synths. Europa was Props’ answer to that, delivered as part of the DAW (no need to add the cost of Serum etc to your purchase). Cool marketing move. Europa follows very much in Props’ style of less-is-more in the features and workflow. It may be easy to dismiss Europa on paper as other synths claim more toys but once you get Sister Europa in the fray the Pirate Twins (Serum & Massive) are missing. You essentially get three Wavetable/Spectrum synths with a common Filter (some new models here – yay), MSEGs, LFOs and a Thor-style Mod Matrix (with drag & drop assignment). Most importantly, it sounds continentally superb. Great for: everything. Ok, possibly not but simple analog patches up to layers of ghastly unisoned noise that leap about is all in there once you learn the simple workflow. Just be aware that initially, the sound can be harsh and digital because you are probably putting in lots of overtones (harmonics) not present in analog or real-world sounds. 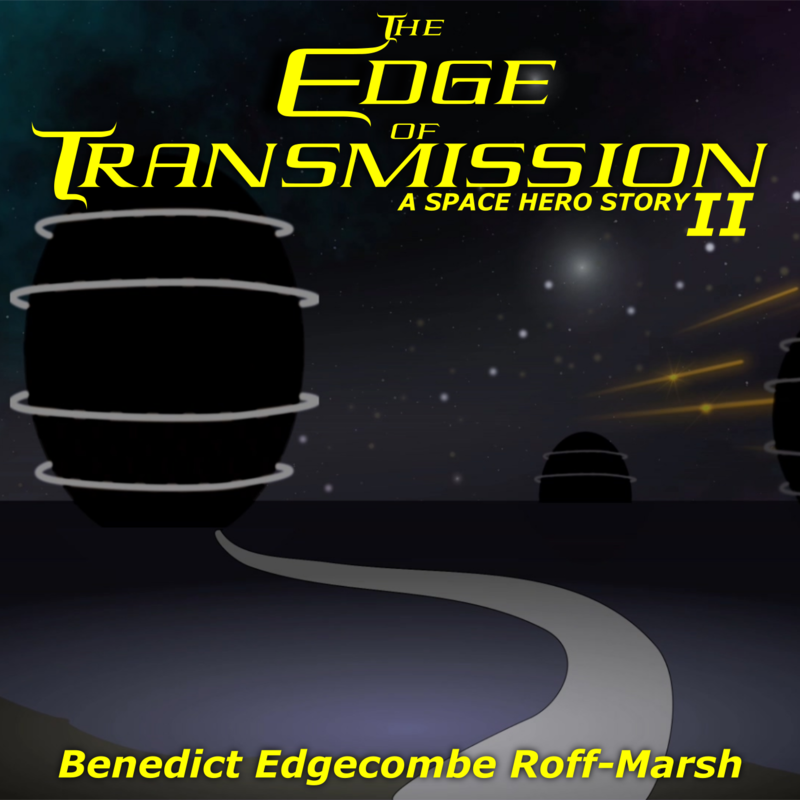 Learn to limit yourself and use the Spectral Filter with care and Thor is in trouble. In the lead up to R10 release, I figured Grain would a bit like Maelstrom for me – something I didn’t really grab onto. Big wrong. What you get is an overall architecture rather similar to Europa but an Oscillator built on a few different Grain playback styles. Each major in one or two areas but of course can be abused into doing other odd or wonderfully grainy things. You do need to get your head around how the sample playback manipulation works (or stumble blindly into cool things which is easy) but quickly enough you can be getting wonderful results from almost any sample. Also the effects (same as in Europa) can greatly enhance or alter the core Osc sound. Great for: again I will say anything but probably needs a bit more time to get to making “musical” sounds as Grain majors in pulling the unexpected out of any odd sample you drop in. I’ll admit to never fully warming to Malstrom but it is a fascinating synth with a lot of possibilities; from the immensely variable Graintable Oscillators (oh how I wish it was possible to grainify your own samples) to the dual Filter/Shaper set-up that is capable of some really gnarly stuff. What I mostly use Mal for is those filters because you can route audio in and create some edgy, chewed, or crystallized textures. I do need to remember that even though most of the samples don’t grab me they are meant to be abused and that is Mal’s strength. What it does have though are “basic” waveforms that are in fact multi-OSC Saw and Square sample sets that are immediately useful for basses, strings etc. Can’t believe I missed this one first time. It is probably because it is so simple and easy to overlook. The name rather gives it away. This isn’t meant to be a full synth at all but something used as you develop your initial idea – or ideate: form an idea of; imagine or conceive. That said the piano has graced a few tracks of mine as has the flute and some of the strings. They are useable sounds; tho at first they can seem rather dry and static. This is a Props thing, they provide the stark clinical recording and leave it to us to develop it. Easy to miss and just assume the sounds are unlovable. Matter of fact I’d rather like an expanded ID8 that covered a lot more ground. Great for: grab n play sounds and layer sounds to fill or orchestrate a mix. New in R10, we have three ID8 style instruments with each relegated to a style of sounds. To be honest, right now I haven’t even launched them but I will and expect them to be just like ID8, easy to overlook but some sounds that just fill the spot. Kind of a silly name as Acoustic Pianos generally lack much in the way of Radness but at the same time this former RE is a welcome addition to the Rack and the changes you can make to the shape of these sample sets is pretty impressive. Great for: really what it suggests. Radical isn’t the last word in realistic pianos but it definitely can deliver in creating your own piano tones, either as a signature sound or to suit each mix. To me Kong is a Drum Synth far more than anything else. Kong comes with many pre-made modules set up for Kicks, Snares, Toms etc with Analog and Physical Models on offer. There is also a specialized version of the NN sampler which I must admit I haven’t really learned and the REX player I haven’t even used. These are actually really good but I far prefer the DIY route of the lower level extra modules. 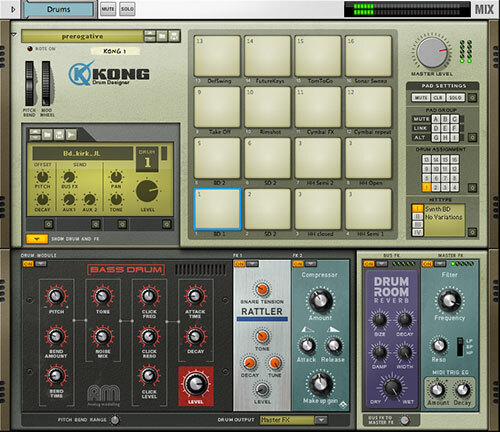 Kong also offers a set of processing tools and effects tailored for drums and they are on the whole (the reverb rarely floats my boat) really useful for adding, subtracting and squishing. I mostly use the Tone & Noise OSC and from there build my own sounds from scratch. The breadth of possibility is vast as you can add extra pads with more generators for really detailed sounds. So next time you want a TR-606/808/909 type sound, don’t be boring and go seeking samples but make your own right there in the rack with perfect tuning etc for your track. I’d like to see the option of a dedicated percussion synth that has about 8 of these low level Tone/Noise/FX modules in a row (kinda like the – now no longer – failed OchenK EDs06 RE and Rob Papen’s PunchBD-RE) to get around the limits of the Pad interface and allow really detailed sound sculpting. Great for: drum roll… yes seriously it’s a drum synth! Paul Hardcastle joke aside the little old NN sampler is a pretty cool little synth in his own right and still deserves a place in the rack in his own right even after 14 years. All the usual things for the day of Sample > Filter and an LFO don’t seem exciting these days but NN-19 did it nicely and it sounds good too. To this day I like to use NN-19 for simple synth sounds from my own waves; great in Combinators for creating layers. The other thing is that most of Mr 19’s parameters can be automatized (spell checker likes this word and I think I do too) so if you are making chop-step then this is the tool for you. 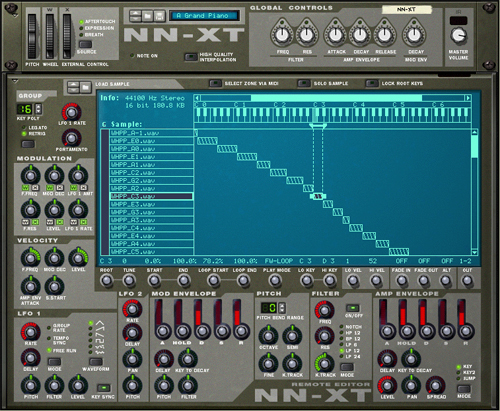 NN-XT is still one of the most useable sample player synths around. Sure it doesn’t have the wizardry of NI’s Komplete sampler under the hood but for layering samples and creating your own Roland/Korg ROMpler or complex synths then the XT in the name is well placed. The only downside (and it has to be this way or the universe would explode) is the lack of ability to do much in the way of automation past the knobs along the top. However in use this is rarely a problem (if it is then see the NN-19 above). Being me I don’t really use uber-sampled pianos or strings but lots of simple OSC waves and the editing is detailed enough to make some really cool, huge sounds for just about anything. Great for: lots and lots of samples layered up and parameterized (ok so I made that word up) to the NNth degree. I totally forgot to include the Rex player of doom in my first roundup. Why? Because I rarely use Rex at all. Sample loops don’t float my boat as a rule. But I must remember that for many of you they do. Wack in Rexified loops and play them back with all sorts of manglifying. Props know how to get the most of Rex and they invented the format and you can even DIY your own loops right in the Sequencer. Great for: Rex Loops. I’ll leave that to you. Here is one of the few times I felt I got something great from Dr. Octo Rex; at about 4:00 where the track picks up you hear Drums &Guitars from factory loops. Can’t believe I didn’t include this first time. My excuse is that Combinator is not an instrument. But what it does do is pivotal to the operation of the Rack in any advanced form. Combi (as we affectionately call him) allows you to, um, combine many units into one device so you can pack together a synth and some effects or layer up several synths (and effects), or of course, you can use a Combi to store a modular monster built on the underlying idea that all of Reason’s devices are in actual fact modules for a greater whole. Great for: making the most of Reason as a modular and pseudo-real-world environment. these three devices appeared a version or so back and are just so useful. They make no sound but help define a patch so well. Matrix & RPG-8 are fine but Players add so much more, in great part because they can be chained and moved around. They bypass the MIDI and CV ideas already in place in the Rack but who cares as they do such a beautiful job at corraling or expanding your ideas (or lack thereof). Great for: adding the sense of notes and tonal movement to many sorts of sounds. Finding musical ideas and even simple orchestration. It was the Hell Freezes Over moment we didn’t really see coming. Reason suddenly accepted VST. Not super smoothly in all cases but the closed-environment was no longer as of R9.5! Props have done an elegant job of bridging VST into the Rack so they can take advantage of the modular nature. But VST will never feel quite like native or RE devices. Not bad, just different. Tokyo Dawn Labs TDR Nova which is not a particularly useful freeware EQ but combine it with the compression per EQ band feature and it has helped with taming an errant instrument or two on almost every track since. Waves GTR 3 Solo just made it into my Rack. With care, a lot can be emulated using existing units but the ease and ‘authenticity’ is beyond what is easily achievable in Reason. SynthEdit is my old stomping ground so with VST arriving I was excited to be able to add that to my Rack. Sadly as of writing (Nov 2017) SE VST don’t work properly in Reason. I have reported to SE & Props and Props are looking at it as they have communicated with me to try some things but so far Save State & Opening Presets don’t work for me. Great for: confusing yourself and getting dragged off into gear lust. Sorry, couldn’t help myself. If the cost of having it is less than the cost of not having it, then get as many VST as you need. So which do I learn? Most people will be better starting with Subtractor because of its fixed architecture. NN-19 would apply here too so long as you use just simple OSC waves and avoid complex samples. Sadly many people are scared of Thor’s Mod Matrix and feel that they are done in before they even try. This is a crying shame as Thor is just a joy of an instrument to work with and can be as easy or complex as you want it to be. Whichever you choose though, get to know it. Get to know it well. Like it’s the person you want to spend the rest of your life with – assumptions always lead to unhappiness. The most common mistake I see people making is not seeing the signal flow in their head. Signal flow is just (as I pointed to above) like water flowing down channels. If the gate is open then the water flows, if it isn’t then the plants don’t grow. If it helps, draw signal flows on paper till you get the concept of how your finger on a key = the sound you hear. For a while, it may steal some of the magic but that will come back in a richer way as you see yourself better able to realize your dream of music. And stick with it. Don’t go trying to find a better, easier, more suited to the hip sound of today tool (toy) as then you won’t master anything (except parting with money and getting stressed).